manufactured by Boeing Commercial Airplanes. 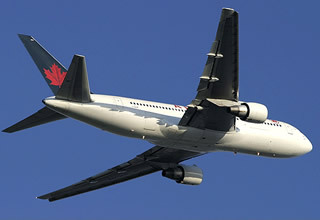 The Boeing 767, a widebody jet, was introduced at around the same time as the 757 , its narrowbody sister. 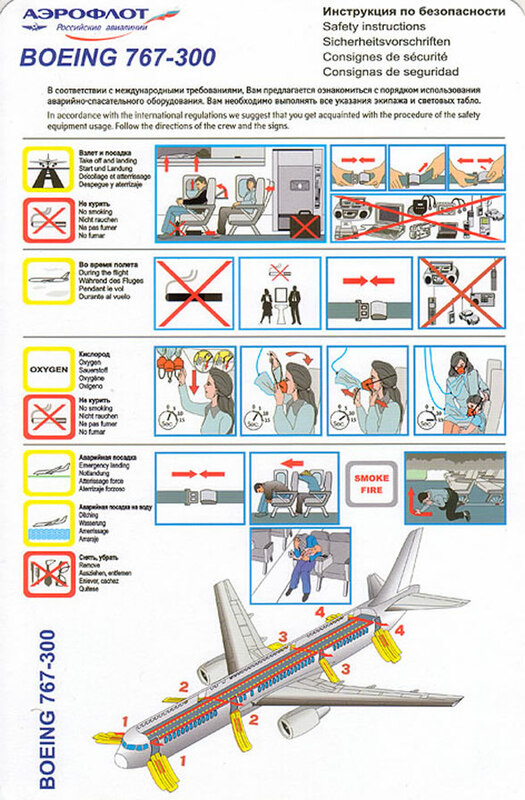 The 767 has a seat-to-aisle ratio in economy class of 3.5 seats per aisle, making for quicker food service and quicker exit of the plane than many other jetliners, which typically have between four and six seats per aisle in economy class. The 767 is to be replaced in the Boeing lineup by the 787. 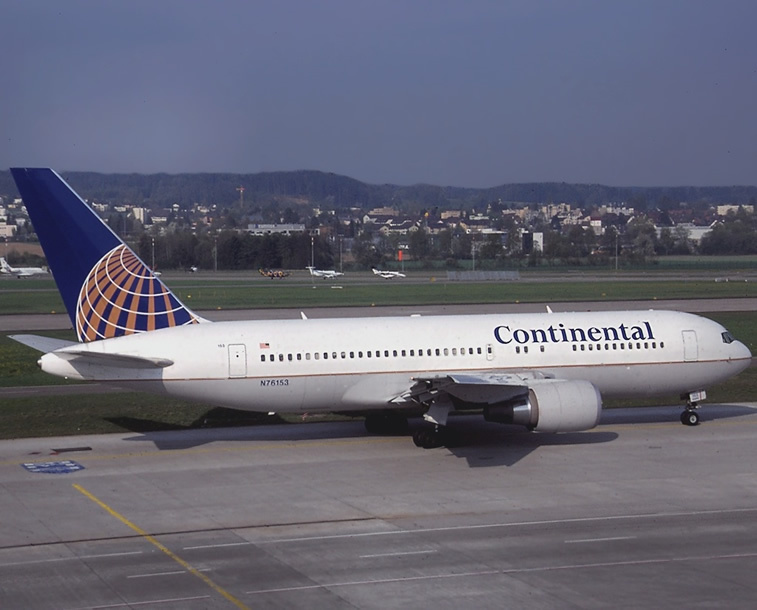 767-200 - The first model of the 767, launched in 1978 and produced from 1981 to 1994. 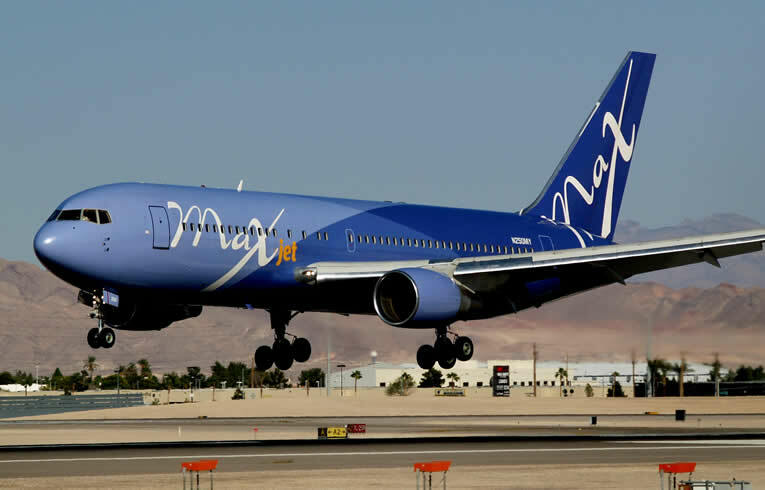 It entered service with United Airlines in 1982. 767-200ER - An extended-range variant first delivered to El Al in 1984. It became the first 767 to complete a nonstop transatlantic journey, and broke the flying distance record for twinjet airliners several times. 767-300 - A lengthened 767 ordered by Japan Airlines in 1983 . It first flew on January 14 , 1986 , and was delivered to JAL on that September 25. 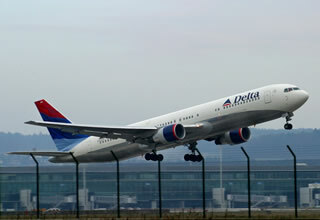 767-300ER - An extended-range variant of the -300. It flew for the first time in 1986, but received no commercial orders until American Airlines purchased several in 1987. 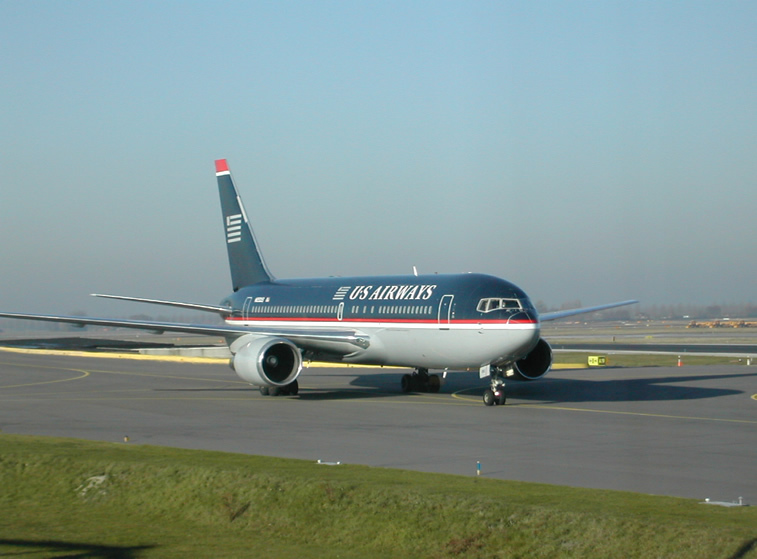 The aircraft entered service with AA in 1988. In 1995, EVA Air used a 767-300ER to inaugurate the first transpacific 767 service. 767-300F - A highly-automated air freight version of the 767-300ER, ordered by United Parcel Service in 1993 and delivered in 1995. 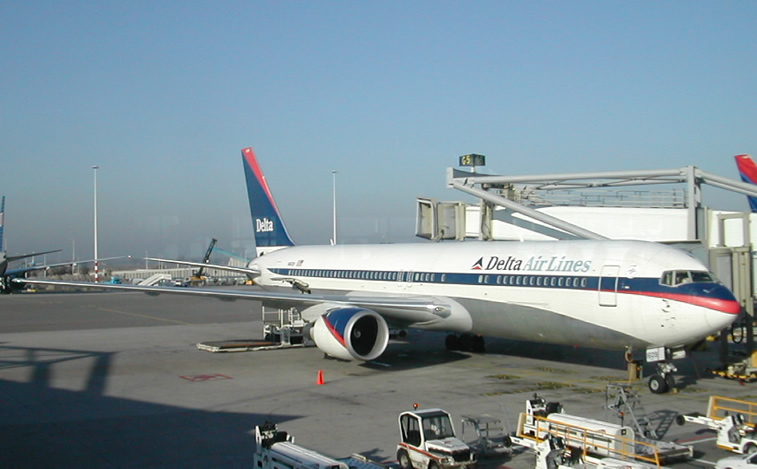 767-400ER - Another extended long-range variant, made as a niche aircraft for Delta Air Lines and Continental Airlines to replace their L-1011 and DC-10 fleets. It is the only 767 model to feature "raked" wingtips, which increase fuel efficiency. 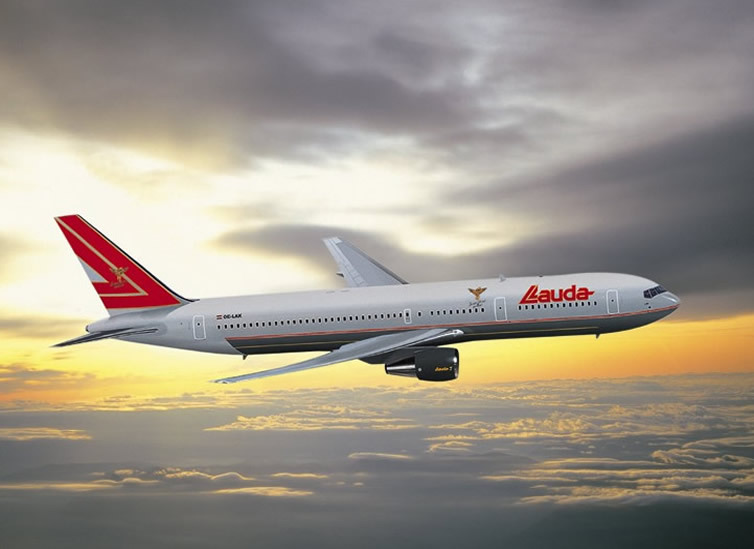 The first production 767-400ER was delivered in 2000. E-767 - AWACS platform used by the military of Japan. Essentially the E-3 Sentry mission package on a 767 platform. KC-767 Tanker Transport - aerial refueling platform currently used by the Italian Air Force and the Japanese Self-Defense Forces. The United States Air Force has expressed interest in the aircraft, with a contract for the lease of 100 aircraft under review. The KC-767 has lost out to the Airbus A330 in two recent contests, for the RAF and Royal Australian Air Force, more than likely due to delays in the USAF 's own procurement of these aircraft. It has won in Japan and Italy, however. E-10 MC2A - Replacement for the Boeing 707 - based E-3 Sentry AWACS, the E-8 Joint STARS aircraft, and EC-135 ELINT aircraft. This is an all-new system, and not based upon the Japanese AWACS aircraft. The Boeing 767 family is a complete family of airplanes providing maximum market versatility in the 200- to 300-seat market. The Boeing 767 family includes three passenger models -- the 767-200ER, 767-300ER and 767-400ER -- and a freighter, which is based on the 767-300ER fuselage. The twin-engine 767 -- sized between the single-aisle 757 and the larger, twin-aisle 777 -- has built a reputation among airlines for its profitability and comfort. The 767-400ER brings significant improvements in operating economics over competing airplanes in the 240- to 300-seat market. The payload capability, intercontinental range, passenger comfort and commonality with other Boeing jetliners give this airplane strong market appeal. You can breathe easy with the 767 family. 767s produce less pollutant emissions per pound of fuel than any comparably sized jetliner, including the A330-200. When combined with the fact that the 767 also burns significantly less fuel, the 767 is truly the "clear" winner. The 767 family is cleaner than industry standards for all categories of emissions -- nitrogen oxides, hydrocarbons, smoke and carbon monoxide. Also browse the 767 program milestones, take a quick look at the 767 Program important dates or read about the changes in flight deck design. Celebrate the 20th anniversary of the 767 (PDF file) and check out the 767 as a tanker transport.